Sparkling wine and cider offered rare glimpses of positive news in the latest WSTA Market Report, which shows volume declines across both UK wine and spirit sales. While UK total alcohol sales have fallen by 2% in the off-trade and 3% in the on-trade during the last 12 months, the sparkling wine category enjoyed 6% growth in the off-trade, while on-trade cider sales saw a 5% increase. There was an even stronger on-trade performance from the resurgent RTD category, which experienced a 3% sales increase over the 12 months to November 2012, boosted by a 15% uplift in the last 12 weeks. However the category’s volumes fell by 7% in the off-trade over the year. There was a similarly mixed picture for Champagne, whose 9% decline in the off-trade during the last 12 weeks was mitigated by a 13% increase in the on-trade during the same period. As inflation on wines and spirits hit 2.4% and 5.9% respectively, the sub-£4 end of the wine market continued to show declines, while all price bands above £7 per bottle saw double-digit growth. While light wine sales experienced the same 2% off-trade decline as total alcohol figures, there were strong performances from Spain and New Zealand, which saw 16% and 11% volume growth respectively. UK market conditions continue to be tough as consumers ‘tighten their belts and shop around for value’, the Wine and Spirits Trade Association has warned as it releases its latest market report. In the last 12 weeks, off-trade sales of Champagne have declined by 9%, while wine under £4 has continued to decline, according to the WSTA’s 12-week round-up of statistics from various analysts such as Nielsen and CGA. While off-trade Champagne is down, the sparkling, non-Champagne, category is one of the best performers. According to Nielsen it is the only major alcohol category in growth over the last year, up 6% in the last 12 months and up 9% in the last 12 weeks. 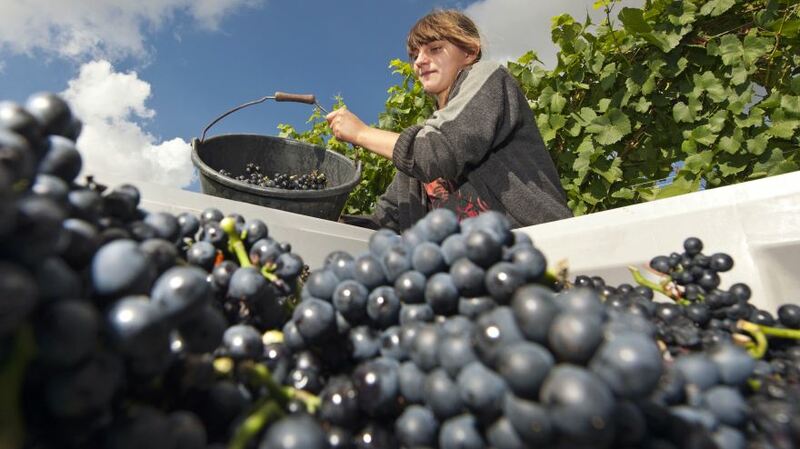 The results are in sharp contrast to the grape harvest throughout most of Europe, where poor weather negatively impacted both quantity and quality in France, Italy and other regions. 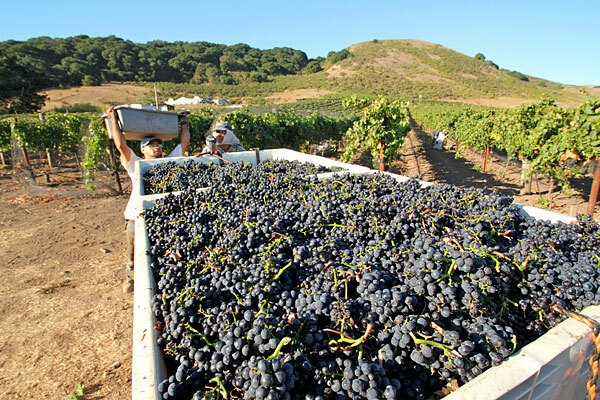 The 2012 California wine grape harvest is estimated at 3.7 million tons, up from 3.3 million tons in 2011, according to The Wine Institute. 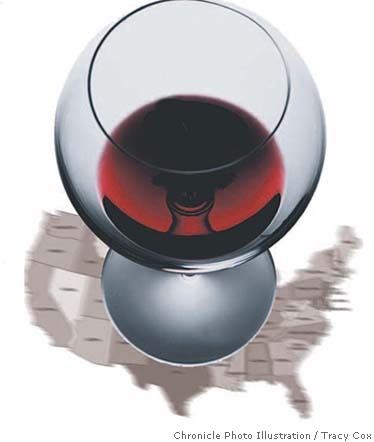 Both 2011 and 2010 were considered to be of good to excellent quality, depending on the region, but were shorter in volume, so the higher tonnage in 2012 is a welcome development. Harvest. For winemakers, no other word is loaded with so much potential and anticipation. After a long growing season of endless work in the vineyards, harvest means pencils down, time’s up. And no matter how hard you have labored all year, at the end of the day, nature usually has the last word. In the fourth of five 2012 vintage reports, winemakers across the Italian boot are reporting a promising vintage after a year of hard work. A wet spring in many regions lowered yields by as much as 40 percent. A long, hot summer put vines under drought stress, which meant growers had to be careful to protect the fruit and let it hang long enough to ripen. As for final quality in the bottle—it’s too early to know. But here’s a sneak peek.